The tech labor pool is still tight, and employers can only poach tech pros from each other so many times (to paraphrase one recruiter). With so many sharks circling the tech workforce, everyone in technology HR knows that their company’s success may well depend on their retention efforts. That’s why there’s so much talk about “engagement” nowadays. The more engaged your workforce, experts suggest, the more likely that any suitors will have to work awfully hard to lure talent away. 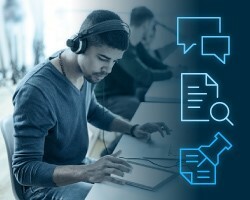 Yet despite the focus on engagement strategy and using data to guide your efforts, many experts believe employers need to dig deeper if they’re to create and maintain a winning effort. While measurement’s important, “too many people focus on the end result—the scores—when they need to think more about how to get [to their objectives],” said Robert Teachout, a Washington, D.C.-based legal editor for the publisher XpertHR. When it comes to engagement, Teachout, like many observers, thinks you’ll find the key to success in a surprising place: the ranks of front-line and middle managers. For that to happen, organizations must be realistic about what they expect managers to accomplish with the time and resources they’re given. Engagement, Teachout observed, isn’t the same thing as job satisfaction. “Job satisfaction is about pay, leave time, things like that,” he said. Engagement encompasses rewards, assignments and other components that are directly related to the actual job—and are almost always controlled by managers. Managers must have enough time in their own schedules to coach, answer questions, and keep their finger on the pulse of their team. But that process breaks down if managers aren’t given what they need to hold up their end of the bargain with their team. HR must map out how every role in the company connects to the overall mission, then make sure that managers understand the connection; after all, in most instances, they’re the ones who’ll communicate it to employees by deed and word. And when HR conducts surveys to measure engagement and solicit feedback, managers must be given the time and resources to follow through on what’s been learned. “The worst thing you can do is not follow up on feedback,” Teachout said. While technical tools can simplify the efforts involved, even developers of engagement technology understand that the employer-employee relationship isn’t just built on a foundation of apps. “We try to make things easier for HR mechanically, but generally successful programs begin at the top,” Mizne said. “HR and the company’s leadership need to set the engagement agenda and then figure out how to achieve it.” Apps can do some of the work, but they can’t do much of the thinking and connecting that engaging employees requires. Because so much relies on the manager, Mizne said, leadership should remember that “most managers aren’t promoted because they’re great managers,” but because they did well in their previous position. When technology is added to the mix, employers either have to coach their managers on how to use it, or have the product’s provider handle the training. Such thinking can lead to failure. “Employees want to be their best at work,” he said, “and middle managers can’t be a bottleneck that employees can’t talk to.” A successful engagement strategy gives managers the time and tools they need to align the company’s business strategy and core values.